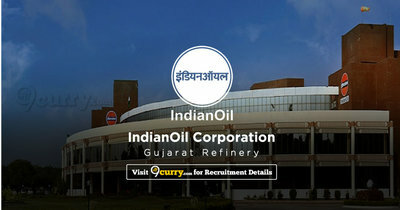 IOCL Gujarat Refinery Recruitment 2019 - Job notification for Environment Associate Post in IOCL Gujarat Refinery, Gujarat on Contract Basis. Applications are invited by IndianOil Corporation, Gujarat Refinery on or before 20 Feb 2019 till 05:00 PM for 1 vacancy. Eligible candidates may send their application in prescribed format (attached below) to General Manager (Human Resource), Western Region Pipelines, Indian Oil Corporation Ltd., P.O. Bedipara, Gauridad, Rajkot (Gujarat)-360003 on or before 20 Feb 2019 till 05:00 PM.